As a fellow entrepreneur, I know the value of instant inspiration and the unbelievable power of an AH-HA moment. 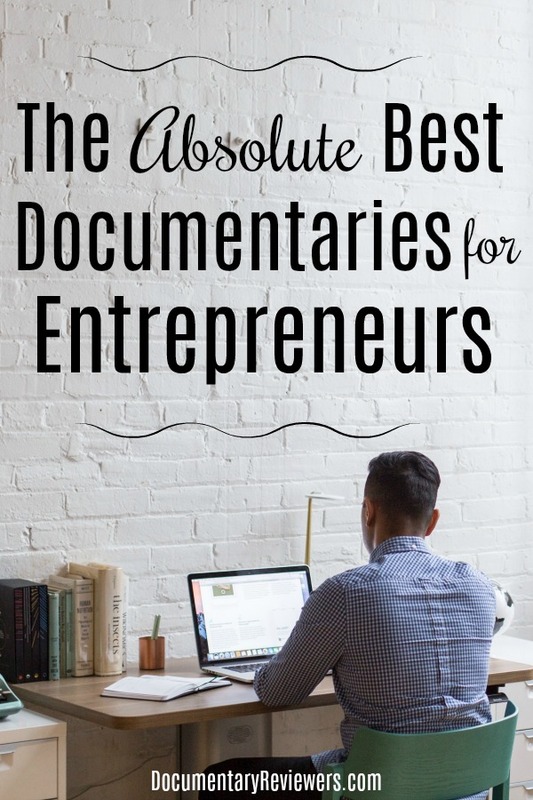 So to give you that boost, I’ve spent countless hours finding the absolute best documentaries for entrepreneurs…ones that will totally skyrocket your success and give you your next great idea. Every documentary on this list is worth watching, so time to update your queue! These will not only entertain, they will add immense value to your life and your entrepreneurial pursuit. When it comes to achieving success in our day and age, there are a small handful of men and women that reign supreme – and Warren Buffett is one of them. Becoming Warren Buffett chronicles Buffett’s entire life, from the moment he was born up until the documentary aired. What is so inspirational about Warren Buffett and his story is that he is completely self-made. He is disciplined, brilliant, and hard-working. He’s down-to-Earth and seemingly normal. He’s just like you and me. Any one of us could achieve what he has achieved. Becoming Warren Buffett is a truly inspirational documentary, with valuable tidbits around each and every corner. Watch with a notebook! You won’t want to forget some of the valuable advice you’ll be getting. Fyre: The Greatest Party that Never Happened is one of Netflix’s greatest entrepreneur documentaries to recently be released and tells the unbelievably disastrous tale of failed entrepreneur Billy McFarland. Aside from being a great example of what not to do as an entrepreneur, Fyre is just a really fabulous production that will keep you completely captivated from start to finish. You may have followed little bits and pieces of the failed Fyre Festival when it hit the news years ago, but you definitely don’t know all of the details revealed in this documentary…or how things really ended. This is a fabulous Netflix documentary for entrepreneurs that you will enjoy for its inspiration, lessons, and just sheer entertainment. Definitely add it to the top of your queue! Napoleon Hill dedicated his life to finding the secret for success. He studied, interviewed, and followed the most successful entrepreneurs of his time – people like Andrew Carnegie, Harvey Firestone, and Henry Ford. He published one of the greatest finance books of all time – Think and Grow Rich. And then he filmed Napoleon Hill’s Master Key, a brilliant entrepreneur documentary (and possibly the oldest one you’ll ever see) that lays out his 13 Keys to Success. These keys can (and should) be used by everyone and make it possible to achieve success, no matter what your foundation is. This inspirational and informative documentary is a must watch for anyone trying to achieve success! Chef’s Table may seem like an unlikely choice to make this list of entrepreneur documentaries…until you’ve actually watched one of the episodes, that is. What you’ll soon realize is that this Emmy-nominated Netflix docuseries isn’t just about food (though that is a nice bonus). It’s actually about some of the most driven and dedicated entrepreneurs that you’ll ever see. Entrepreneurs that fought tirelessly to make a name for themselves in an incredibly saturated market…and each one of them succeeded in doing it. Chef’s table is one of the greatest Netflix entrepreneur documentaries out there, so give it a try! You may find that it provides the perfect amount of entrepreneurial inspiration…over and over and over again. Jack Canfield lives, eats, and breathes at the corner of inspiration and success. His entire life has been dedicated to it and his entrepreneurial empire was created by it. The Soul of Success: The Jack Canfield Story provides a small glimpse into this world and the life of the man who created Chicken Soup for the Soul…and he didn’t stop there. After the success of Chicken Soup, Jack went on to write multiple books on the topic of success and is a famed motivational speaker. 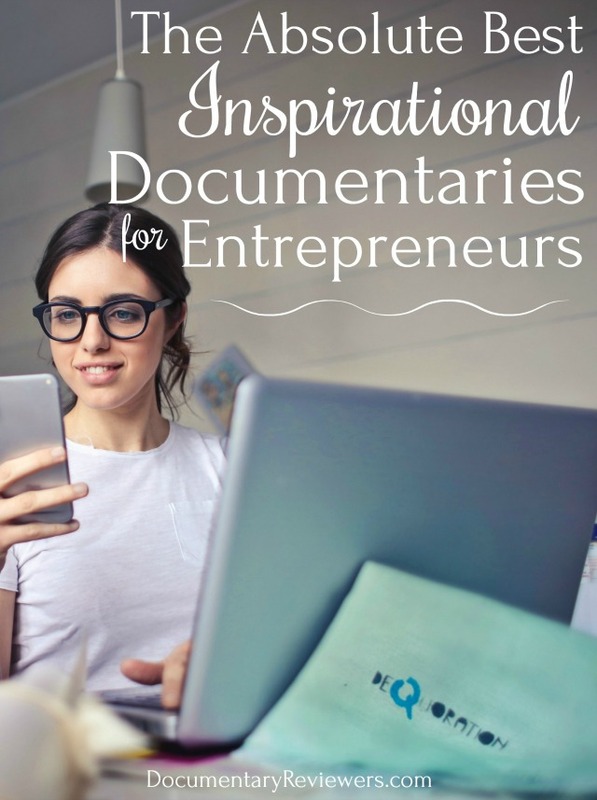 This documentary is not only inspiring because of Jack’s entrepreneurial success, but also because Jack himself provides valuable, life-changing advice throughout the film. The Secret is the ultimate inspirational documentary for entrepreneurs…and not just with your professional life. The Secret will skyrocket your success no matter what your endeavor is from losing weight and dating to simply feeling better and erasing anxiety. The documentary does this by focusing entirely on the Law of Attraction and everything you need to do to get it working in your favor. It’s got success stories, tips for using the LOA, and of course a slew of experts sharing everything they know. This is one that you can (and should) watch over and over and over again…even if it’s just in the background! Technically speaking, The Founder isn’t actually a documentary…it’s a movie based on the real life of Ray Kroc, the founder of McDonald’s (or at least, the McDonald’s we all know). But this movie is so inspirational and Ray Kroc is such an important entrepreneur to follow that I couldn’t possibly leave it off this list. If you’ve got an idea, a business, or even just that entrepreneurial itch within you, then move The Founder to the top of your Netflix queue! You will really enjoy this entrepreneur story. If you’re a fellow entrepreneur, I hope you get a chance to watch all of these inspirational documentaries about success! They each have the power to completely change your life for the better. 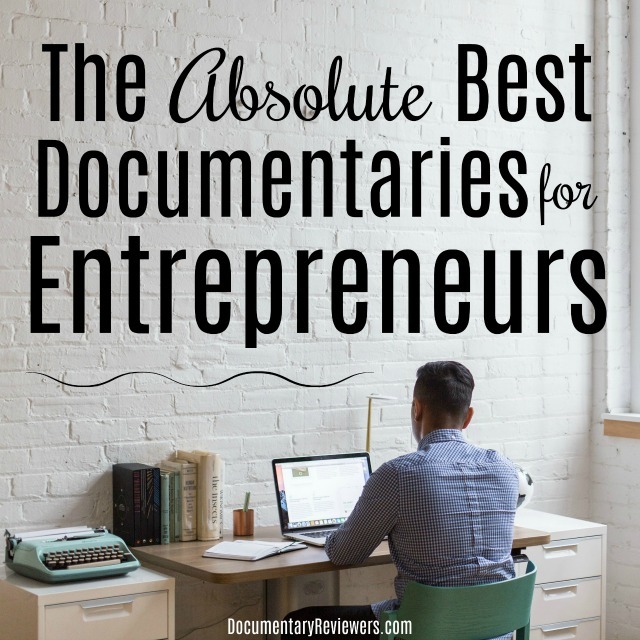 Let us know if you’ve come across any other documentaries for entrepreneurs that need to go on this list. Good luck to you! You will LOVE Warren Buffett’s doc. How was Expedition Happiness?? That has been on my list for a while! I’ll need to move it up!